Jet Pro Royal Shower Add to Flipboard Magazine. Have you been dreaming of a new multi-head shower spa, but can’t afford it? Check out this wonderful shower spa. This is a great way to get the new shower without breaking the bank. This is as easy as hanging a picture to install. Ok, maybe not exactly that easy, but it is a lot easier than you think and it costs far less than a new bathroom. It features 4 amazing water features, 5 settings, 337 water nozzles with infinite options. This is the shower that we all dream of coming home to at night. The combination of heat, water and massage will relieve pain, stress, increase circulation, energize and heal your joint pains and aching muscles. Ahhhhh…..I need this. 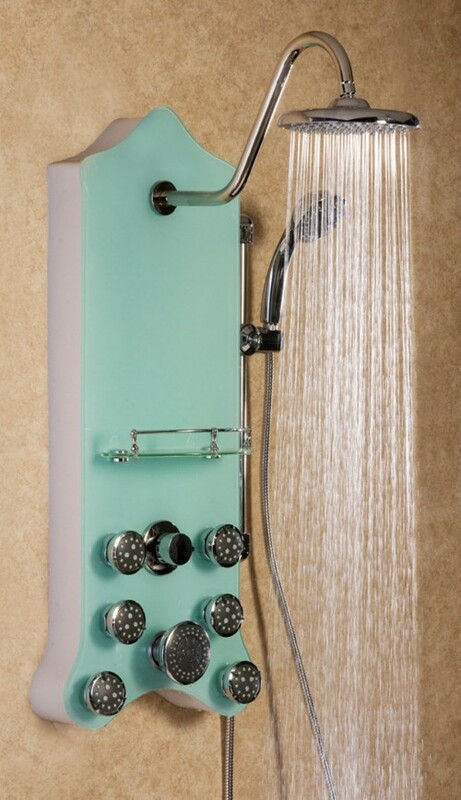 The Jet Pro Royal Shower comes in 6 different styles. This Jet Pro Royal Shower is a massaging multi-headed shower panel for in-home use that literally transforms a regular shower into a beautiful spa retreat in minutes. Can you imagine how great the heat, water and massage will feel on your painful areas, it will help get rid of your stress, it will increase circulation, energize and heal your joint pains and aching muscles. You would think it would take a lot more water because you will be in there longer. But they say it has a lower water consumption because it is engineered and functions to meet new lower water consumption Federal Regulations. I like that! I really need to get one of these….SOON! Watch to see how easy installation really is.